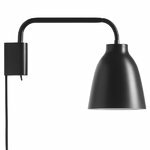 The Caravaggio Read wall lamp from Fritz Hansen makes a perfect addition to any bedroom and reading nook, since it's not only beautiful but functional too: the arm rotates 180 degrees, and the light is easy to direct by tilting the shade. Its power switch is positioned discreetly at the bottom of the wall bracket. 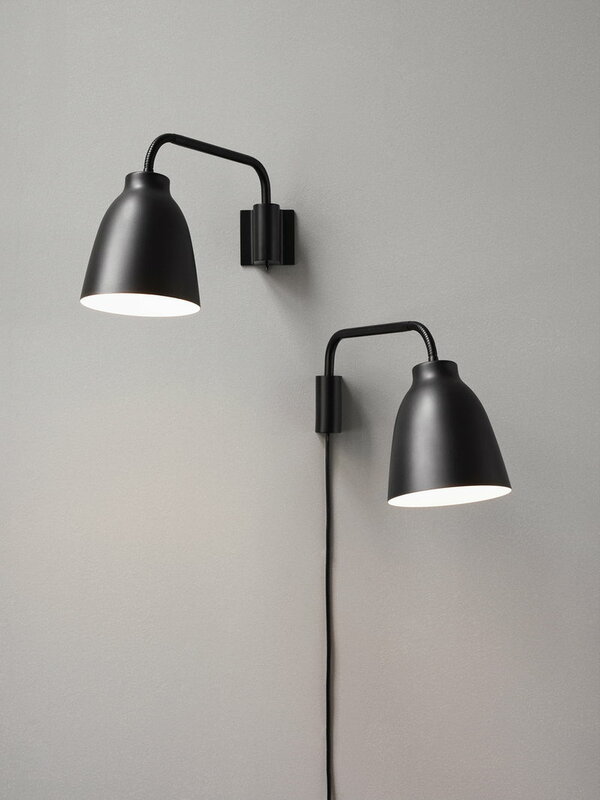 The Caravaggio wall lamp comes with two fittings: it can be installed directly to the power outlet or using a power cord. Launched in 2005, Caravaggio has been widely recognized and loved ever since. Creating a simple, rounded design for small and large pendants was the main idea behind Cecilie Manz's Caravaggio series. Manz experienced with a number of shapes during the design process and ended up with the attractive feminine form. Since then the collection has grown with various new lights featuring the iconic shade design. Cecilie Manz (b. 1972) is a Danish designer who studied at the Danish Design School with additional studies at the University of Art and Design Helsinki. 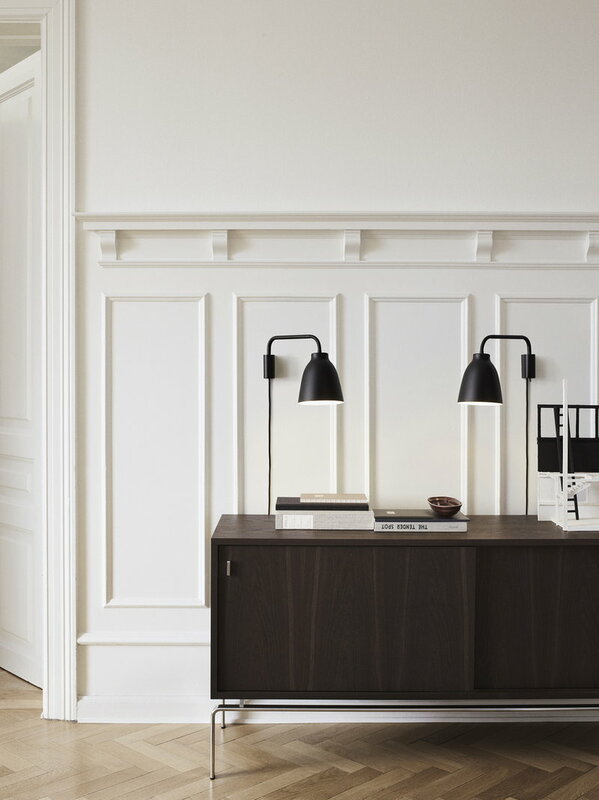 Cecilie Manz has designed furniture, glass, lamps and related products. In addition to her work with industrial products, her experimental prototypes and more sculptural one-offs make up an important part of her work and approach. For Cecilie Manz function is essential when designing: if a good reason for a new product cannot be formulated, it is better to refrain from making it. 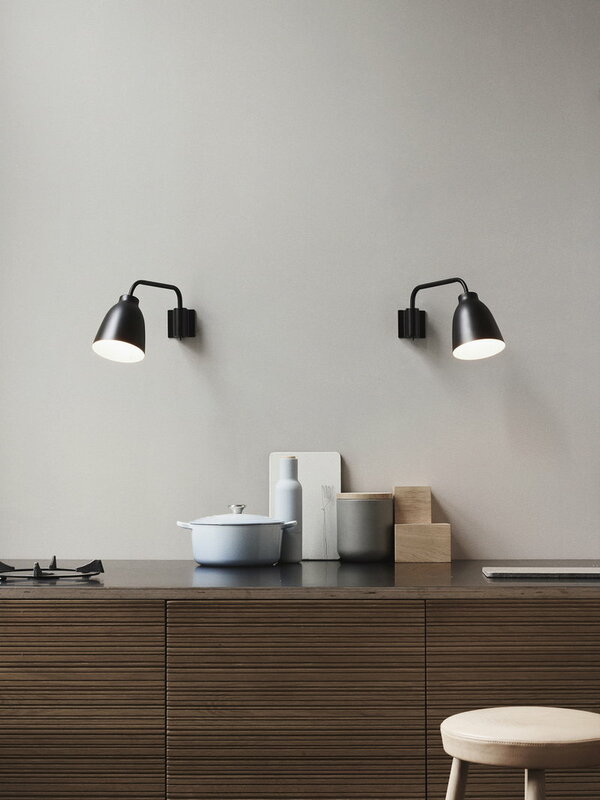 Cecilie Manz has designed for brands such as Lightyears, Fritz Hansen, Nikari and Muuto. For Lightyears she has designed the Caravaggio series of lamps. The main idea behind the Caravaggio series was to create a simple, soft design for small and large pendants. For Lightyears she created also the Mondrian series of lamps. In her development of the lamp series Mondrian, the driving force for the designer was minimalist design. Cecilie Manz has exhibited all over the world and is permanently represented in the exhibitions of the MoMA and the Danish Design Centre. She has been lectured and awarded several significant prizes for her conceptual design.